As of 2013 more than 50% of US students are eligible for a free or subsidized school lunch. As this number continues to climb, the challenge of teaching low-income children can no longer be considered a side issue in American education. Helping poor kids succeed is now, by definition, the central mission of American public schools. Achievement gaps between poor and non-poor kids have remained the same by some measures and increased by others in spite of the fact that closing the gaps has been a government priority for decades. If you work with kids who are growing up in poverty or other adverse circumstances, you know that they can be difficult for teachers and other professionals to reach, hard to motivate, hard to calm down, hard to connect with. 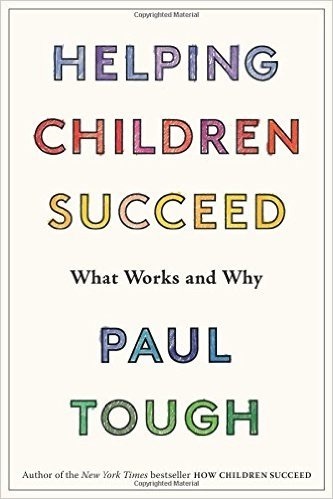 This book revisits the research that Paul wrote about in How Children Succeed. It extends his reporting to new discoveries, new models, and new approaches to interventions with children, both inside and outside the classroom. Social-science literature is rife with examples of small, high-quality programs that seem to become much less effective when they expand and replicate. Therefore, the aim here is to examine interventions not as model programs to be replicated but as expressions of certain underlying ideas and strategies. The second challenge is to find strategies to address the problems of disadvantaged children. Here we consider the developmental journey of children, and particularly children growing up in circumstances of adversity, as a continuum — a single unbroken story from birth through the end of high school. This entry was posted on Monday, June 27th, 2016 at 7:02 am	and is filed under Book Summaries, Education Books, Leadership Books. You can follow any responses to this entry through the RSS 2.0 feed. You can leave a response, or trackback from your own site.